PAGE BRYANT Once a resident of Sedona, she and her husband have lived in Western North Carolina in heart of the Great Smoky Mountains for many years. She is author of the pioneering work, The Spiritual Reawakening of the Great Smoky Mountains. Page is a professional psychic and intuitive counselor for over 35 years. She is also author of thirteen books, including The Second Coming of the Star Gods. With broad range of metaphysical and scientific knowledge, Page is popular teacher in field of alternative thought. She taught for over 20 years at Sun Bear’s Medicine Wheel Gatherings, and has conducted numerous tours to England, Scotland, and Egypt, and was the first intuitive to identify the specific number and locations of the Sedona vortexes (1981). Page is married to visionary artist, Scott Guynup. “The Second Coming of the Star Gods”. It is inspired by the mysteries of life and death in the oldest culture in the world: Egyptian culture. PAGE BRYANT has been at her work for almost 50 years. She’s written 12 books, and does intuitive counseling, and teaching on the subjects of psychic development, Ancient Civilizations, Native American philosophy, and the teachings of H.P. 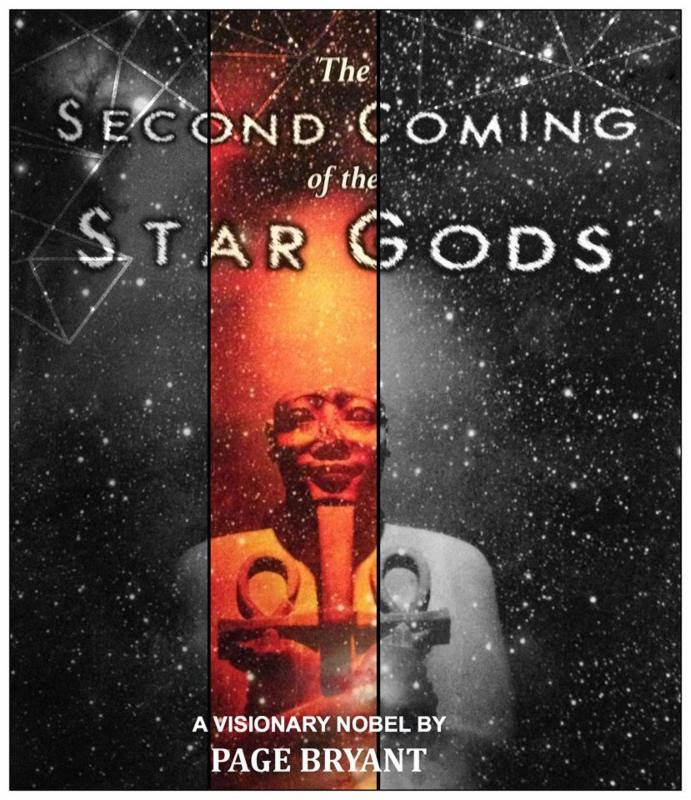 Blavatsky and Alice Bailey’s (Theosophy) and Sacred Ecology, Sacred Sites, and Earth energies, She will have three of her books available, including her first novel THE SECOND COMING OF THE STAR GODS.